​Download the presentation given by Coach Tyler at the March 11th Spring Sports Meeting. This deck is chockablock full of useful information about Stonington Crew and upcoming spring season.  As a member of Stonington Crew, athletes must abide by the rules of Stonington High School, the Connecticut Public Schools Rowing Association (CPSRA) league, and the Stonington Crew Team Policy. Failure to comply with all rules and policies could lead to suspension from the team.​​​ Please download and review the Team Policy to ensure all rowers have a safe and enjoyable rowing experience. Stonington Crew posts and shares photos on a Shutterfly share site. Members can view and download pictures. Of course, prints and photo gift items can be purchased through Shutterfly. We invite all members to post and share pictures with other rowers and family members! Clicking the Shutterfly icon to the right will bring you to the team's share site. Once on the site, you can request access. Rowing is unique sport, especially at the public school level. Our Rowing Quick Facts PDF is full of information (interesting facts, glossary of terms, boat & equipment info, race-watching tips) that will help rowers and families enjoy our wonderful sport! ​During the spring season, athletes are provided with transportation to and from regattas. If an athlete needs to make alternate arrangements, a Transportation Form must be submitted to the SHS Athletic Director, Bryan Morrone, at least 24 hours prior to the event. During the fall season, transportation is not provided. So, athletes must complete a Transportation Form for the entire season. Forms can be hand delivered to Mr. Morrone or scanned and emailed to bmorrone@stoningtonschools.org. Get Involved, Join SignUp Genius! ​Parent involvement at Stonington Crew is phenomenal. It's a lot of fun, too! We use SignUp Genius to make it easy for everyone to participate. Click the button to the right to join. Once a member, you can choose slots for Sign Ups such as chuck wagon/food at races and volunteer activities. ​Home meets are raced on the Mystic River. Boats launch from the Mystic Seaport. The starting line is past the I-95 bridge and finish line is off the lighthouse point at the Seaport. Download the race course map to get a satellite view of the 1,500m course.